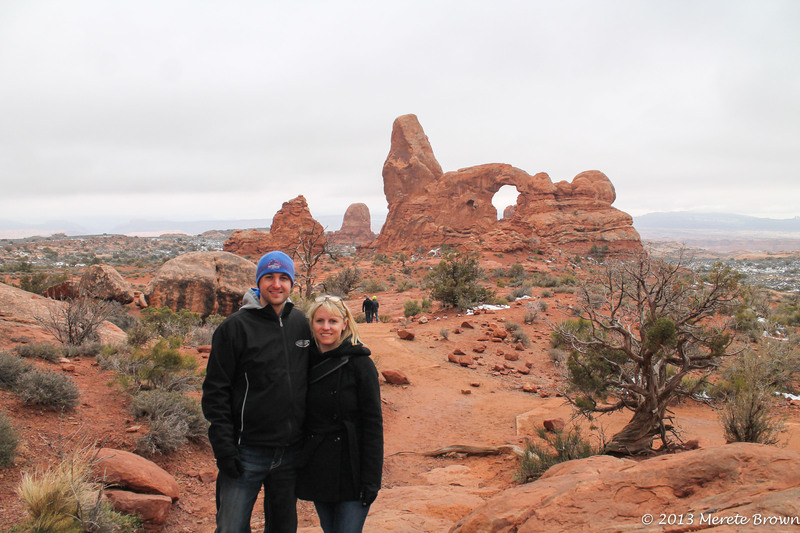 The first time I stepped into Arches National Park was almost seven years ago during a whirlwind college RV road trip across the western United States. Starting from Spokane, WA, we drove all day and almost all night to reach Arches, before pulling off the side of the road at a rest area about two hours from the park. After a few hours of sleep, we hit the road early the next morning to reach the park and have the day to explore. 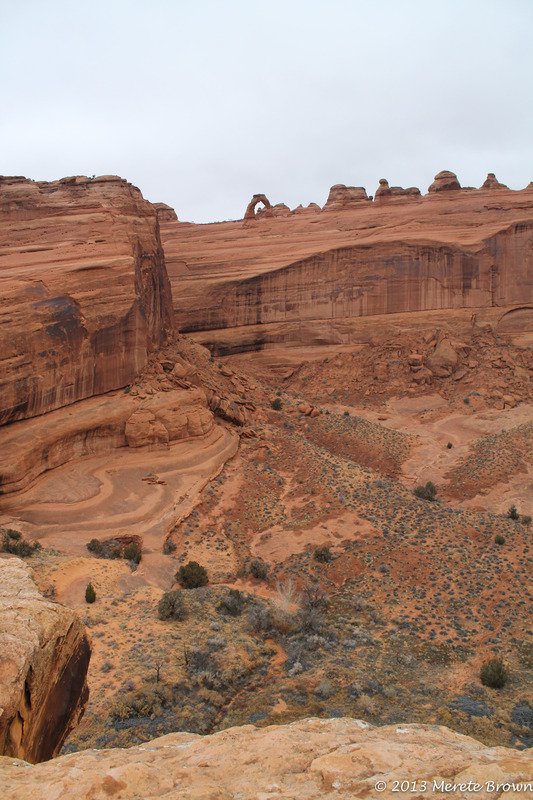 Carefree and wide-eyed, I remember driving into Arches in the early morning hours in awe of the remarkable rock formations that dotted the land. I hadn’t seen anything like it and I loved it. 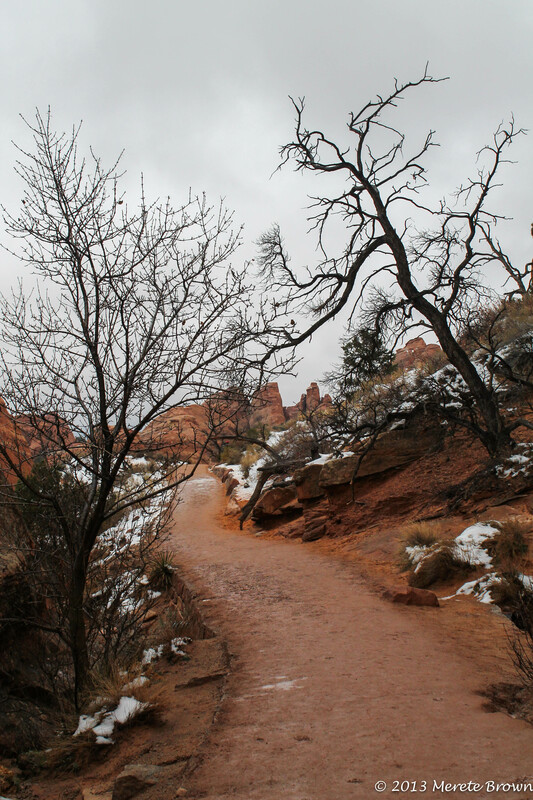 The park was foreign, exciting and beckoned us to explore its wild territory. The towering plateaus and carefully constructed arches fit together like haphazard building blocks. 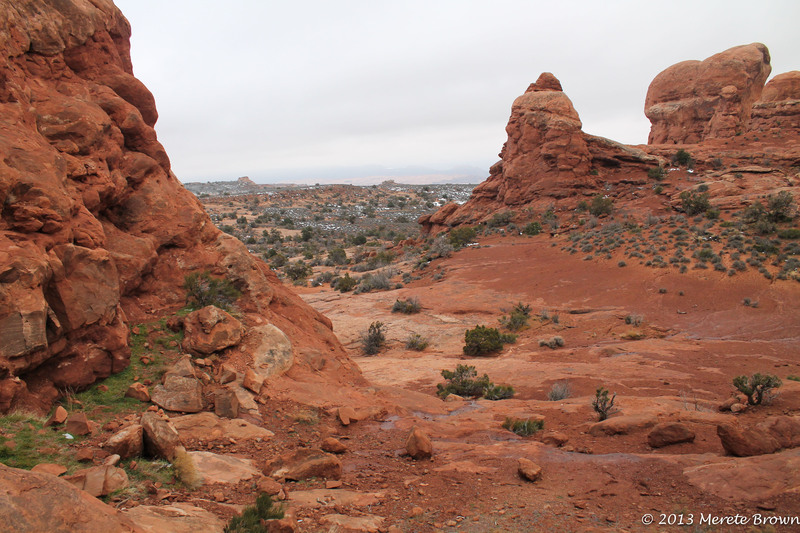 After parking the RV in the campground and hiking out past Landscape Arch, up giant boulders to Double O Arch and beyond, I gazed out from a ridge west across the park. I’ll never forget the feelings of ultimate freedom and an adventurous spirit. 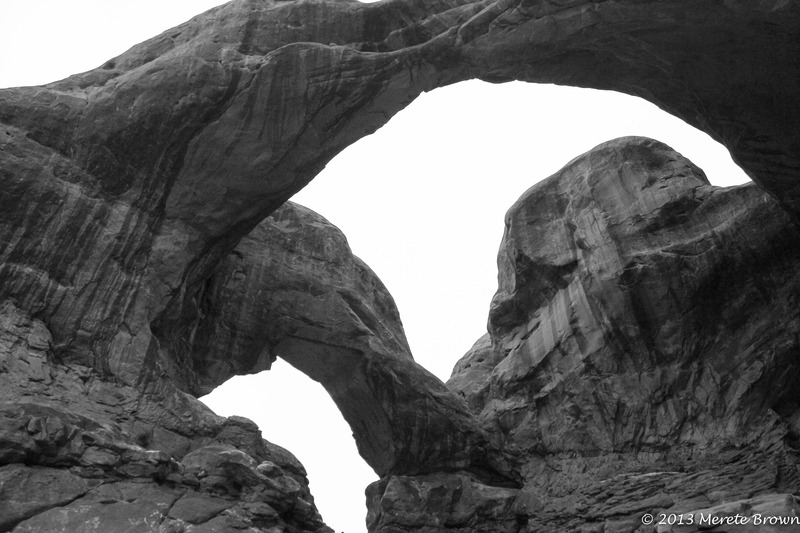 Ever since then, Arches has held a special place in my heart. 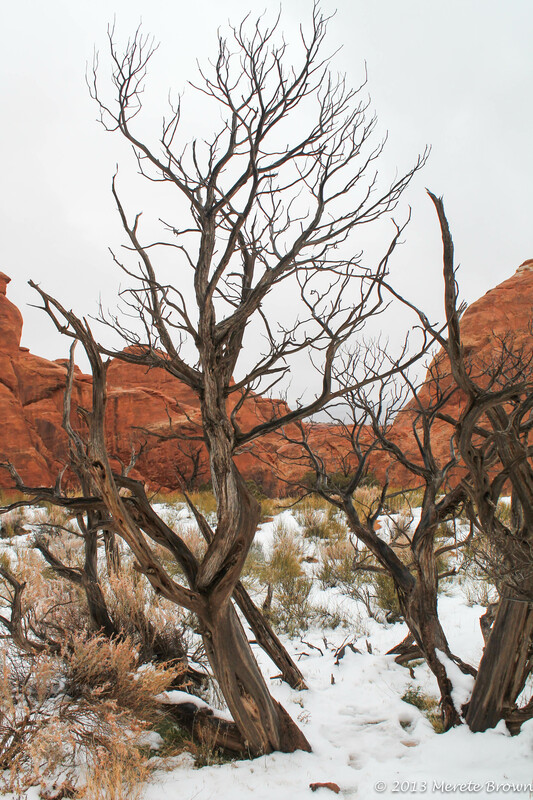 Hoping to revive some of the same experiences I had while visiting Arches years ago, I returned with my husband again for the first time late last fall. 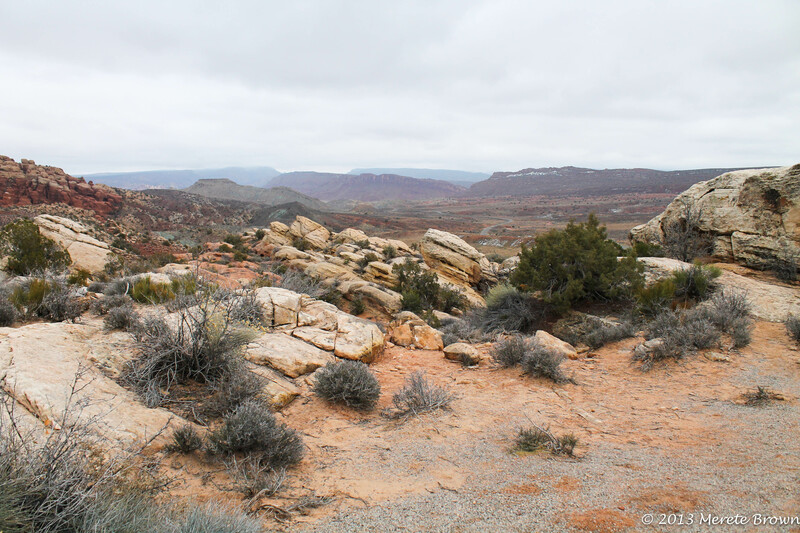 This time, the massive rocks that had once captivated my attention looked a little bland and brittle. 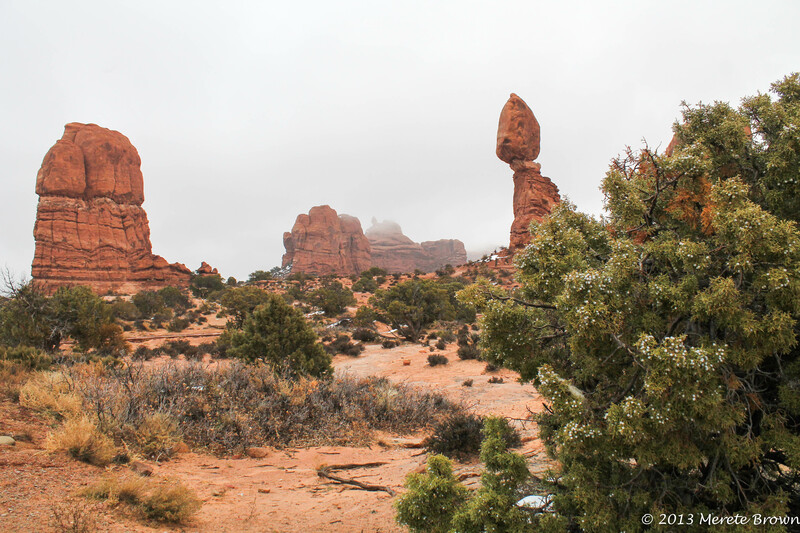 Fog, surrounding the strangely shaped rock formations, blended into the gray sky. It certainly didn’t feel like the same place as before. Yet, it was and it was still beautiful, only in a new way. My youthful spirit that excitedly drove me to fearlessly explore the park in the past had drained away. 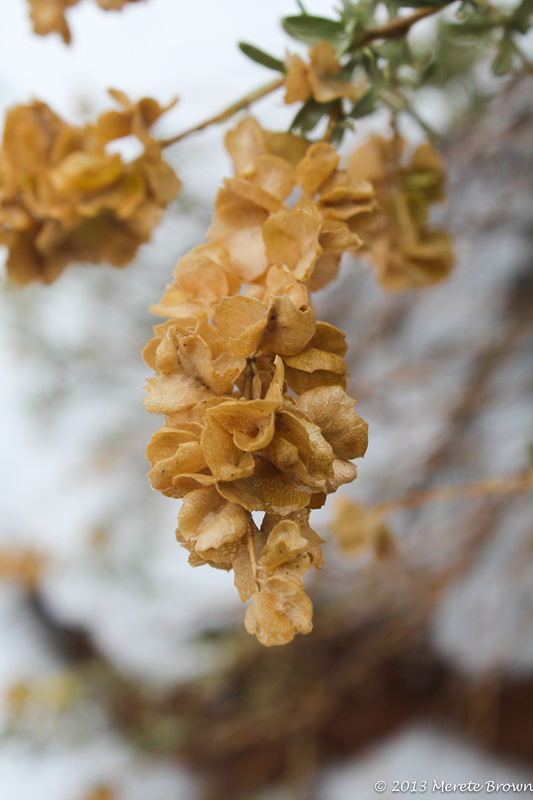 But I could now appreciate the landscape in a more settled way, slowing down to focus on the details. 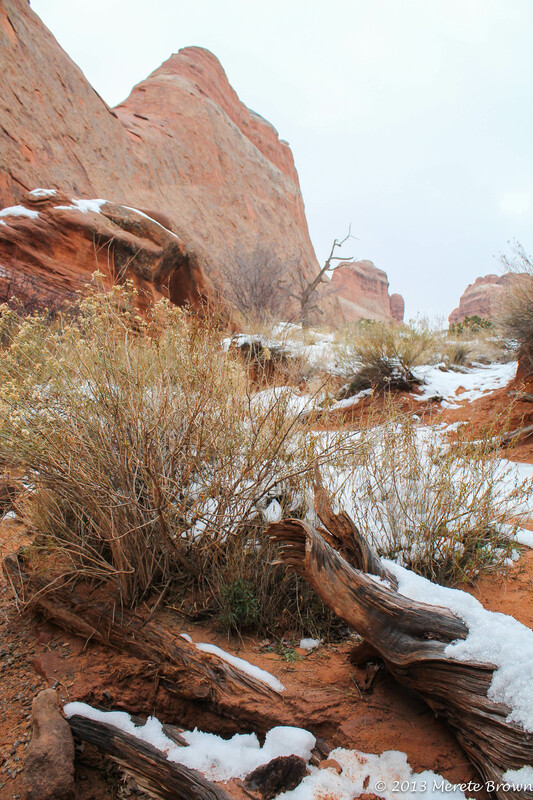 As we hiked back up to Landscape Arch, snow was sprinkled throughout the park. It was cold, but the terrain was as bold as I remembered. The smooth, rounded arches sat delicately connected to their solid base. Rocks deftly balanced on a seemingly small surface. Truly, it’s interesting how our experiences shape how we view a place, person or thing over different points of time in our lives. 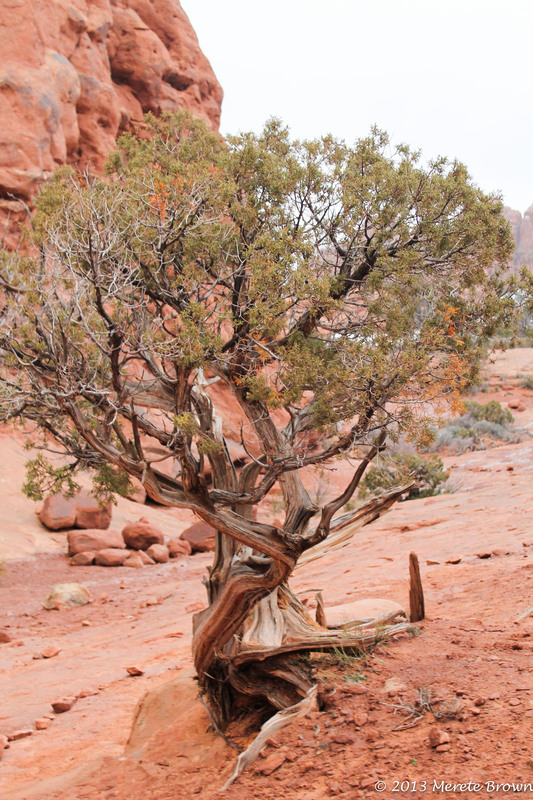 Although my perception of Arches National Park changed, it will always be unique. I wasn’t struck by pure wonderment this time, but I gained a greater appreciation for another cherished national park as the cold settled in. 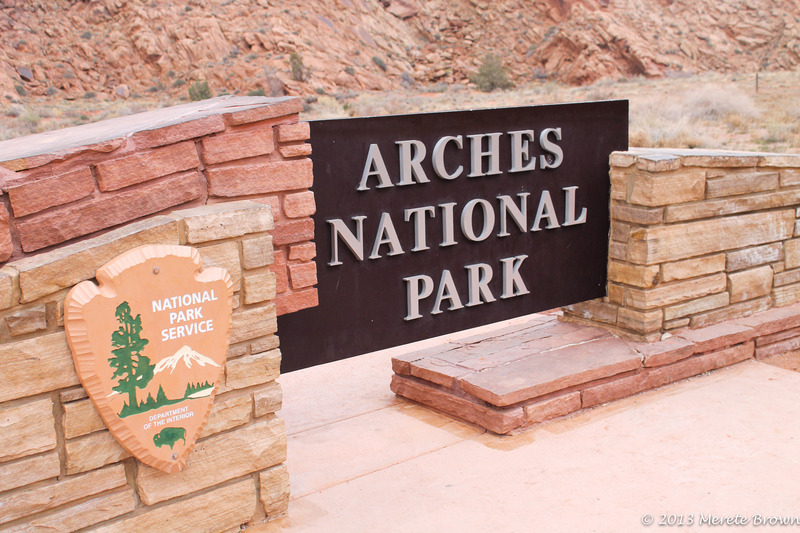 When was Arches established as a national park? 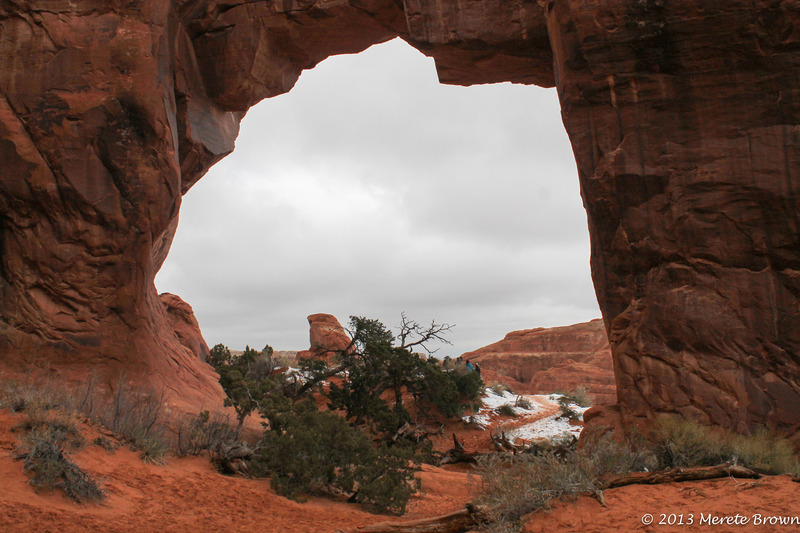 Arches became a national monument on April 12, 1929 and a national park on November 12, 1971. 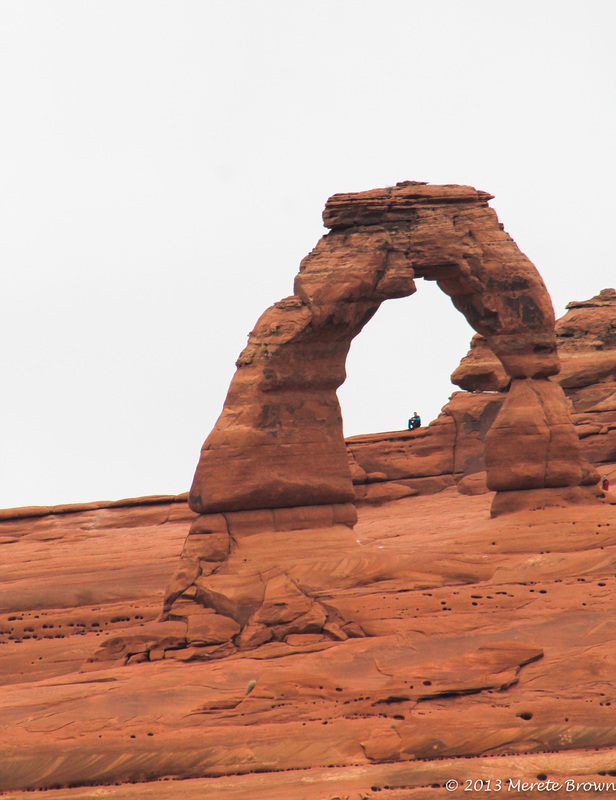 How many arches are there in the park? The exact number is unknown but over 2000 have been recorded. What is the largest arch? 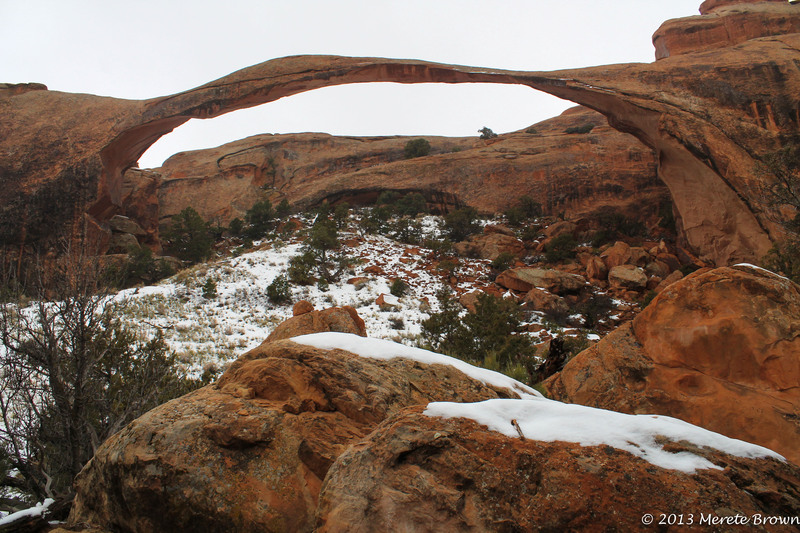 Landscape Arch is the widest at 206 feet across. How big is the park? 76,519 acres. Why are the rocks red? Iron oxide in the sandstone. Why do some of the rocks appear green? The green rocks contain iron in a reduced (non-oxidized) state. Iron can actually make rocks appear red, black, orange, purple or greenish gray. 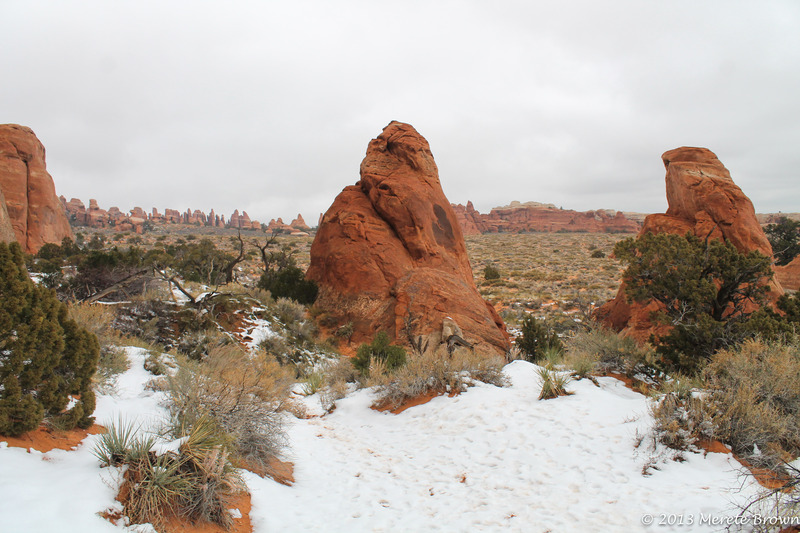 Is Arches open all winter? 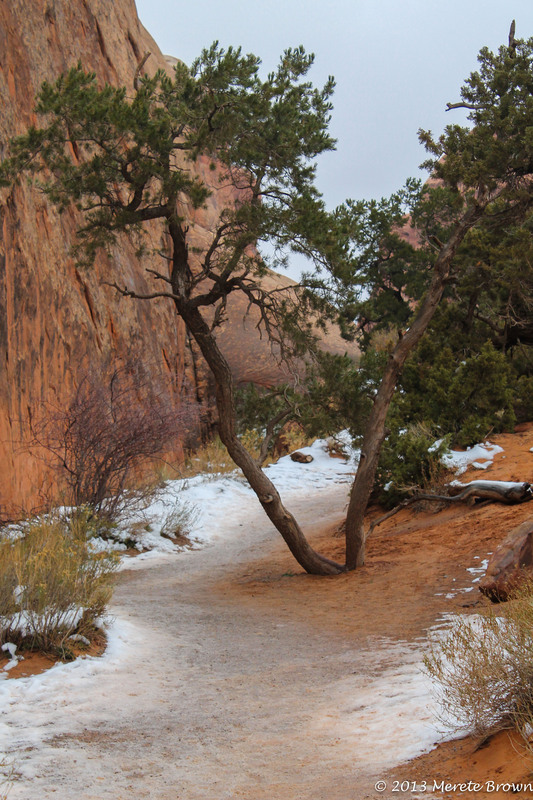 Yes, the trails remain open but keep in mind snow and ice make for slippery conditions. Can you ride ATV’s in the park? No, no off-highway vehicles such as ATVs are allowed. Love your site! Your photos are amazing! If only I could ditch the kids and go on a trip. Definitely need to hit up some of the amazing parks showcased on your site. Great pictures! 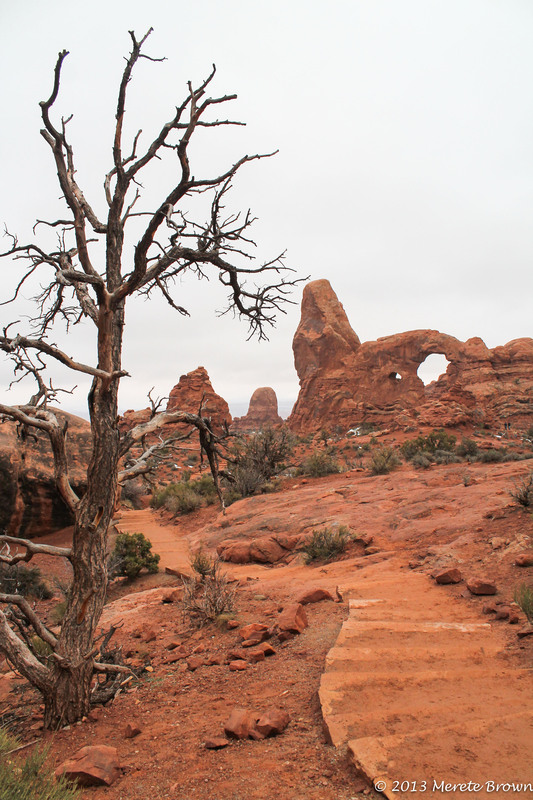 I haven’t been to Arches since I was a kid (and that was a long time ago), but your photos make it clear that I need to go back. Thanks. Thank you! It really is a neat place! Can’t wait to explore more parks this summer.